Could My Business Recover After Filing for Bankruptcy? The Kansas City business bankruptcy attorneys at the Sader Law Firm understand how difficult it can be to file bankruptcy for your business. However, a successful business bankruptcy may be able to give your business a new start without overwhelming financial stress. Make the first step to recover from bankruptcy by scheduling a free and confidential consultation with a bankruptcy attorney. Reputation’s a very important factor for any business owner, and business owners are worried about reputations and, as I explain to people that are considering bankruptcy in businesses, there is a reputation factor involved. Bankruptcy is something that you can’t get rid of once you file it, but you can overcome it. Most businesses understand today that if you’ve had a problem, if you’ve had a financial downfall, maybe bad sales or bad economy–my goodness, we’ve had a terrible economy over the past few years, in so many respects, people understand that people can’t overcome all that at various times. What they really respect, though, is that when people are given an opportunity to rebound and to get a fresh start that they handle things right from that point forward. What’s really important in trying to guard your reputation and build your reputation is that if you do have to file bankruptcy… I think people understand that, if you do it honestly and openly and for the right reasons. But then, thereafter, as long as you pay your bills on time as best you can, as long as you do what you say you’re going to do, I think any concern about reputation can be overcome. For confidential phone consultation with an attorney at the Sader Law Firm, give us a call at (816) 281-6349. 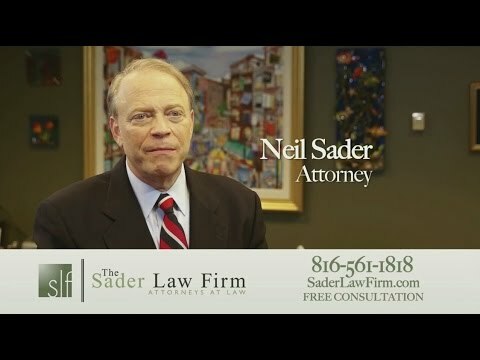 For more information, you can also go to our website at SaderLawFirm.com. ← Are Student Loan Bankruptcy Rules Changing?